With talk of undocumented immigrants and the creation of a fortified border wall separating the U.S. from Mexico two of the biggest news topics of interest to Hispanic consumers, Telemundo has bulked up its Washington, D.C., presence by selecting a new Bureau Chief and a Senior Correspondent. Both individuals are women, and they add to the addition two months ago of a male correspondent at the NBCUniversal-owned broadcast TV network. Noticias Telemundo has set Lori Montenegro as its D.C. Bureau Chief and selected Cristina Londoño as its Senior Correspondent. The double promotion follows the Spanish-language sibling of NBC’s naming two months ago of Javier Vega as a Washington correspondent. 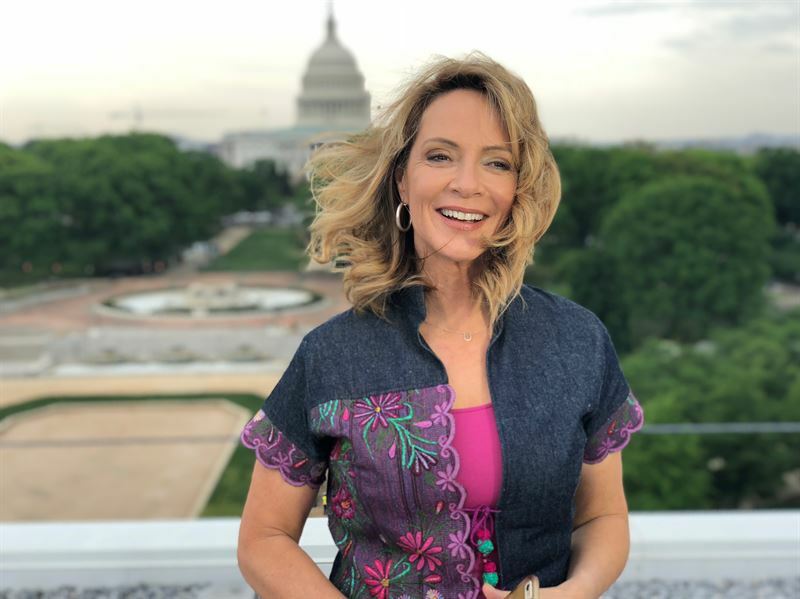 Montenegro spent more than a dozen years as Noticias Telemundo’s correspondent in Washington, D.C. She collaborates with a number of other NBCUniversal news organizations as well, including NBC News and MSNBC. Before joining Noticias Telemundo, Montenegro spent three years as Washington, D.C., correspondent for 25 Univision affiliates. From 1991 through 1993 she was foreign political affairs correspondent for the United States Information Agency (USIA), also in the nation’s capital. Londoño previously served as the network’s correspondent in California (2008-2019) and Miami (2000-2008). Before joining Telemundo, she was an editorial director and producer for CBS Telenoticias, and a producer and writer at Noticias Univision. I’m happy for Lori, although since Obama days she started losing credibility being so mich in love with him and now displaying so much Hate for Trump. It’s sickening. But, in reality that’s how the entire NBC Telemundo “news” operations is… Very sad, since instead of news, Latinos get just propaganda that’s victimizing our community and dividing us. They never have anything good about Trump or conservatives, and everything is always wonderful when it comes to democrats. Sad. No balance. Is it hard to ask for Telemundo and others to cover what’s good and what’s bad on both sides??? Can you credit Trump on anything? Can you see things wrong on the other side ever? Can you and Un Nuevo Dia stop just promoting anti-Tump hate and promoting democrats all the time? Lori should be doing series about Venezuela and how Trump has been in support of Guaido and how Trump’s administration has been stirring up other countries to support the liberation of Venezuela from Socialism and its oppression. As far as Cristina Londoño, I’m so glad that they’re finally recognizing her. She’s by far the best reporter on Spanish language news in general. She might be liberal too, I don’t know. But at least she’s Not displaying it and she attempts to look more fair than the others when she’s covering both sides. In other words: Journalism. Great for her. Hope she brings that balanced, fair and responsible insight to real NEWS, that it’s so needed in Washington DC these days!